The Yakima Valley AVA grows more than 40 different varietals of wine grapes. The success of this diversity can be attributed to the many different growing aspects within the AVA. The micro climates, heat variations, and different soils types within the three sub AVAs play a major role in successfully growing so many grape varieties. Today’s blog focuses on the Rattlesnake Hills AVA. The appellation is located in south-central Washington around the town of Zillah with the hills named after the Northern Pacific Rattlesnake, which inhabits the area. As a growing region, Rattlesnake Hills is almost evenly split between red and white wine grapes with reds having a slight edge. Riesling is a dominant white grape in this region producing wines with aromas and flavors of lime, lemon, and green apple. Other sites in the appellation offer flavors with a little more stone fruit, particularly peach. Merlots are notable for red fruit aromas and flavors, such as sweet cherries, red currants, and raspberries, along with chocolate and mint. For Cabernets, black cherry, cassis, and light, high-toned herbal notes are often the hallmarks. The east-west trending Rattlesnake Hills are an anticline of the Yakima fold belt, a series of geologic folds that define a number of viticultural regions in the area. 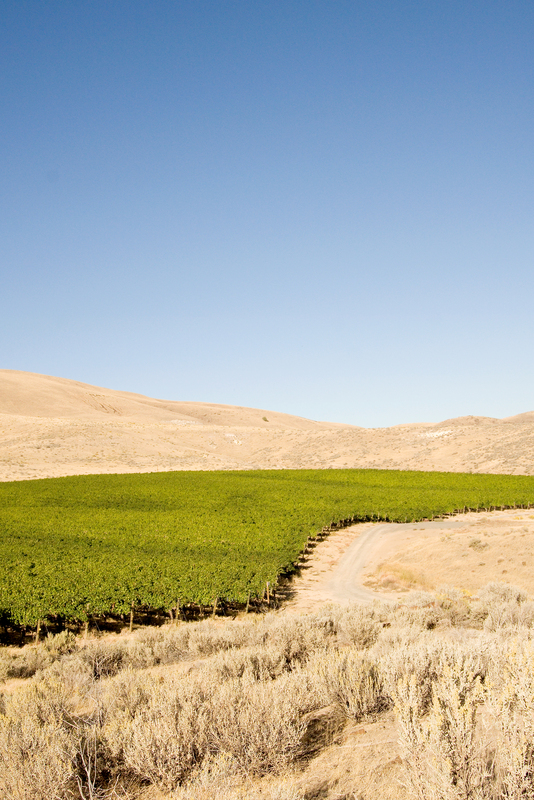 The appellation itself lies on the south slope of the Rattlesnake Hills and includes the highest point in the Yakima Valley AVA. The Rattlesnake Hills’ distinguishing feature is its elevation relative to the surrounding area. Elevations range from 850 feet to 3,085 feet, although vineyard plantings are limited to the lower-lying areas. The appellation’s heightened elevation lessens the risk of spring and fall frosts. Additionally, winter temperatures are warmer than the surrounding area, limiting the danger of hard freezes. The predominant soil types are silt-loam and loam. The Rattlesnake Hills has an arid, continental climate and receives an average of 6 to 12 inches of rainfall annually. Irrigation is therefore required to grow vinifera grapes. The earliest vines at Rattlesnake Hills were planted in 1968. The following wines represent the true characteristics of the fruit from the Rattlesnake Hills AVA. Beautiful ruby red color in the glass. Refined aromas of spiced red plums, black cherries, and cranberry, with hints of red peppercorns and wild roses. The flavors are concentrated and harmonious, delivering red and black fruits, which are complemented by refreshing acidity, along with notes of tea, white pepper, and allspice. An elegant, yet intensely flavored wine that is a perfect match for Mediterranean cuisine. This wine is an exceptional representation of Rattlesnake Hills AVA showcasing some of the best attributes of the region. It won Best in show at the 2014 Great Northwest Wine Competition. Read about grower Joe Hattrup and his Elephant Mountain Vineyards. Moth Love is a blend of 38% Syrah, 25% Mourvedre and 37% Grenache from Rattlesnake Hills AVA. Rich velvet black fruit, chocolate, black pepper and subtle hints of red meat. A full bodied, medium tannin wine. This wine pairs well with grilled steak, stews, and rich savory dishes. This rich & ripe Malbec displays dark espresso & mocha aromas leading into lush plum sauce, braised ripe fig & dark blueberry flavors. The long, creamy finish brings it all together very nicely.